The absolute best way to ferment, store, and serve your fresh craft beer. 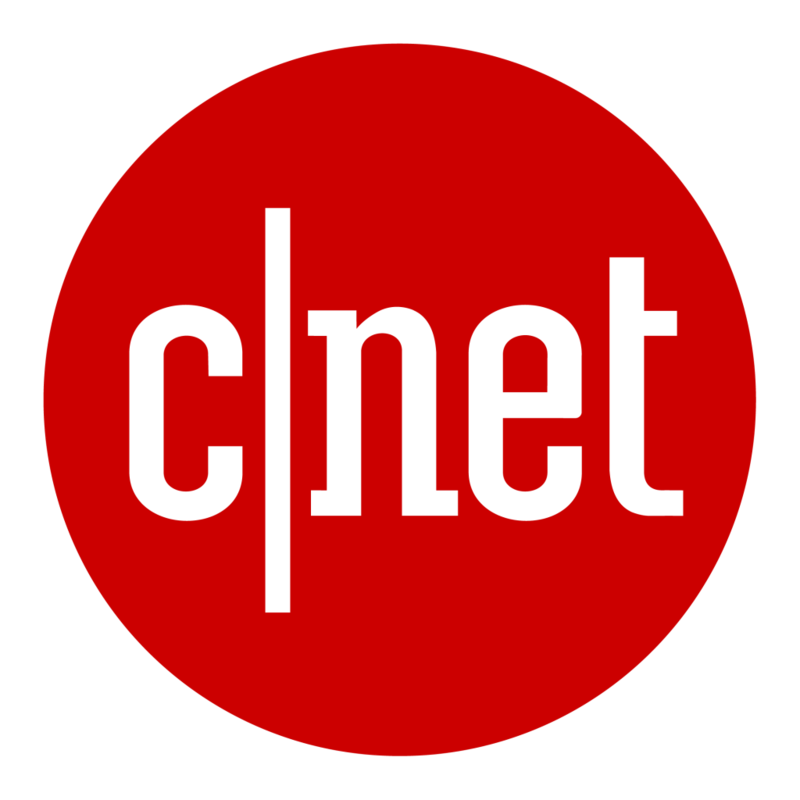 Turn almost any simple kegerator into a smart home device with advanced cababilities. KegSmarts mounts on most kegerators and allows you to precisely control the beer serving temperature and display detailed information about each beer on tap. View your beers, dispensing status and notes on the BrewPub digital chalkboard using any web browser. KegSmarts is also the ultimate environment to ferment your PicoBrew Zymatic-brewed beers using a precisely-controlled temperature schedule. With the KegPlate and KegWarmer accessories, KegSmarts tracks and manages fermentation in one keg while you serve beer from another. The automatic fermentation control system precisely regulates the fermentation temperature for your specific recipe. You can control multiple kegs at the same time. 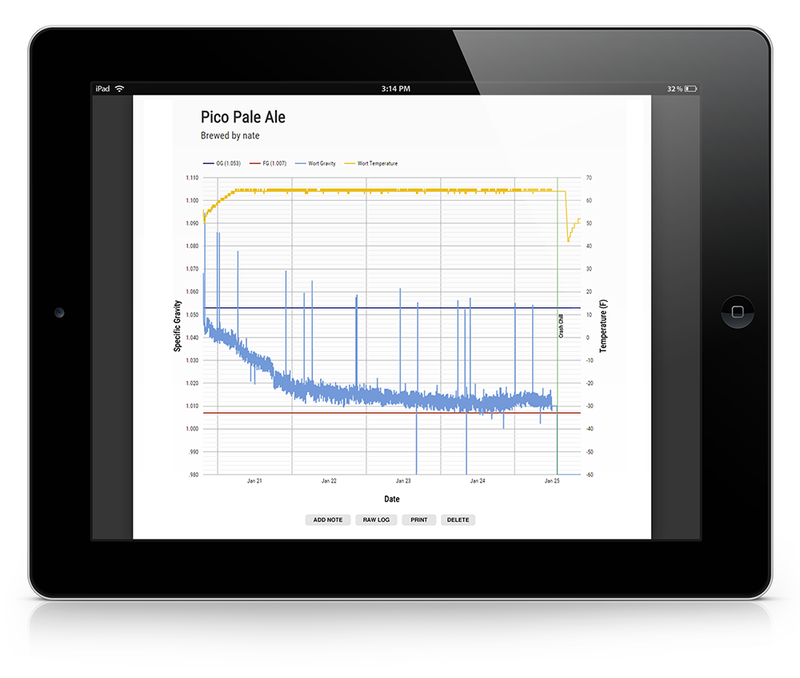 Use your internet connected computer or smart phone to chart the progress as your beer ferments. 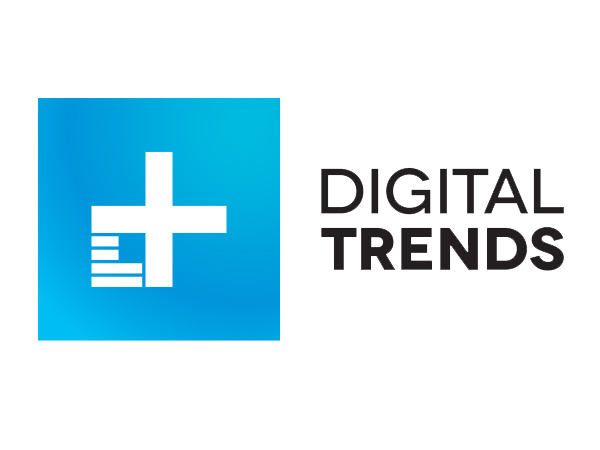 Control and track the beer storage temperature of each keg. KegSmarts mounts to almost any kegerator, or buy a complete system that includes everything you need. Connect by WiFi to your BrewPub account. The KegSmarts display shows beers on tap, ratings, ingredients, and notes. You can even see the current temperature and the amount of beer remaining in your keg! Supports kegerators with up to three (3) taps. Requires standard 110V AC wall outlet. 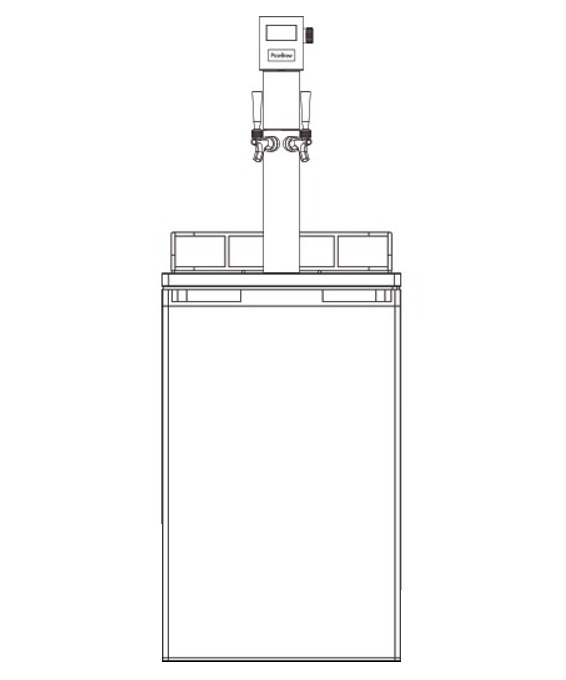 Requires access hole of at least 5/8” diameter (standard on most kegerators) to pass cables from inside the kegerator to the external power unit. Track tapped beers, manage serving temperature and view details on the kegerator display or online BrewPub chalkboard. 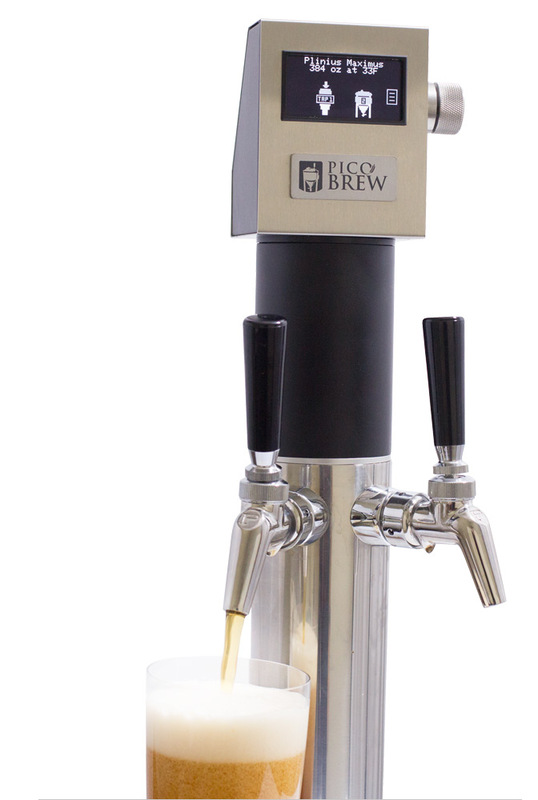 Supports all Basic package features, plus automatic beer-level tracking for two kegs, detailed fermentation control and dual-temperature zone capability for fermenting while dispensing. 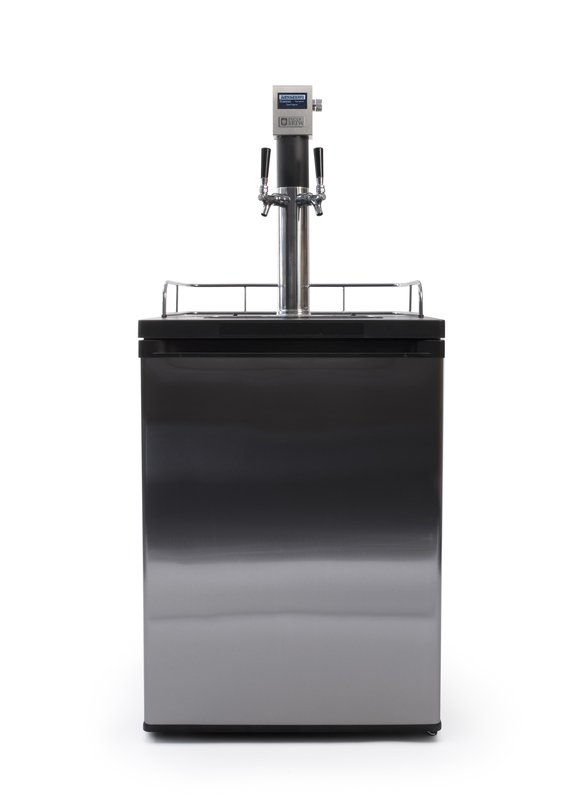 Everything you need to ferment, carbonate, chill, and dispense your Zymatic kegs, including the kegerator. This package is only available within the continental United States.